Below are the words of wisdom I shared with my 6th-grade daughter and my 4th-grade son going into another new School Year. 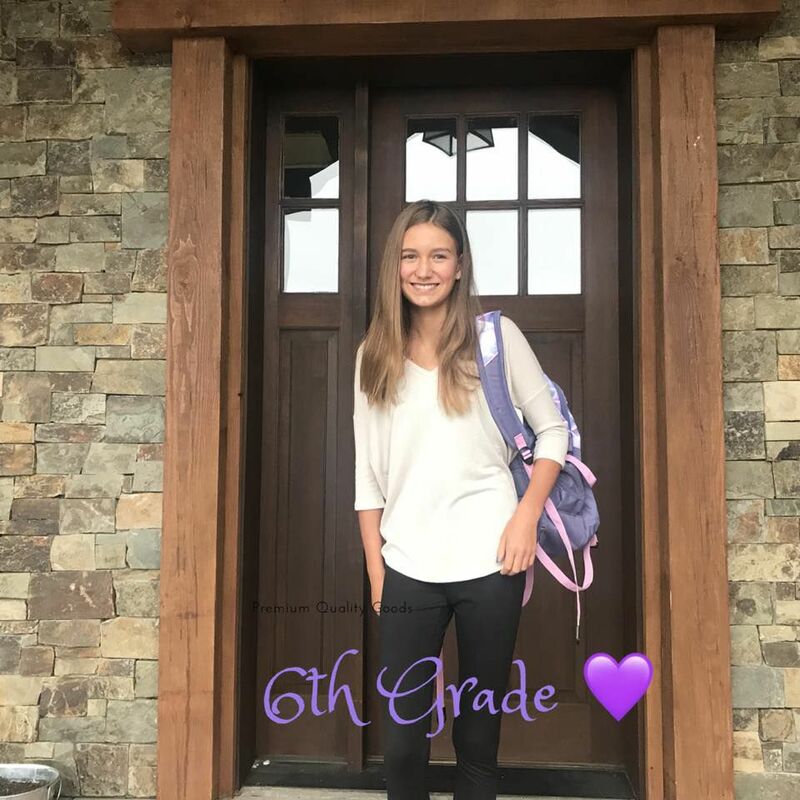 10 THINGS I TOLD MY DAUGHTER AS SHE WENT TO MIDDLE SCHOOL. #1 – Not everyone will like you, that’s okay. Be kind, and don’t take it to heart. It’s not your job to convince people of your worth. #2 – Pick your friends wisely. You are the sum of the people you spend the most time with. Pick friends who are honest, kind and interested in making the world a better place. Listen to your gut, and you will go far. #3 – Embrace your teachers and the opportunity to learn. Regardless of what other kids may tell you, school being amazing, fun and enjoyable is a matter of attitude. #4 – It’s not what you wear, own or look like, it’s what’s in your heart and what you place your attention on that matters most. #5 – You are BEAUTIFUL. More so inside than outside, remember that how you treat others and how you feel about yourself dictates the energy that shines through onto your exterior. #6 – If someone is mean to you, it’s about them, not you. Don’t let it change you. #7 – See every tough subject or struggle as an opportunity to get better. It’s not that you can’t, it’s just something to work a little harder at. Struggle will make you stronger. #8 – Be involved and stay involved. This is a learning ground for life. Involvement allows you to be a positive change agent for your environment. #9 – Your teachers care for their students and anyone who takes the time to teach deserves your time to learn. Thank them by paying attention, participating and showing your respect. Allow them to help you find the next evolution of you. #10 – Your Dad and I, (both heavenly and earthly) adore you. You are a sweet and special being. Watching you grow is one of life’s greatest gifts. You are amazing in ways I can’t even put into words. You’ve got this, and I’ve always got you. 10 THINGS I TOLD MY SON AS SHE WENT INTO THE 4TH GRADE. 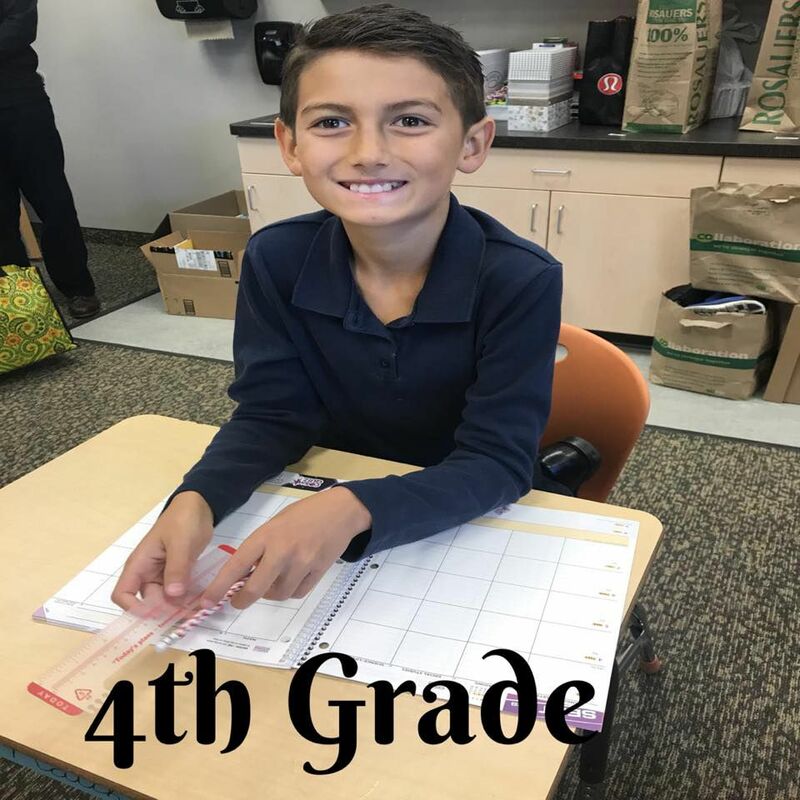 My son, Matthew (mini Mitch), has such a different personality and is in a different stage of life, at a different school, so I told him 10 things too….but they are just a little unique from his sisters. Here is what I told my 4th grader on his first day of school. #1 – Do your best work ALWAYS. I realize how competitive you are but when it comes to school work, faster is not better. Slow down, do it right the first time and have pride in your work. #2 – Doing well in school gives you CHOICES in life. No matter what you want to be when you grow up, when you applied yourself to school you have the choice to pursue what makes you happy. #3 – Be so thankful for your teachers. They work hard, and they deserve your respect. Be willing to learn with the same enthusiasm they teach. Teachers are extraordinary people, and we should always treat them that way. #4 – Be kind to everyone. You never know what people are dealing with in their lives and with their family so always be the kind kid. #5 – Realize you are capable of anything if you apply yourself. You are a super smart boy, don’t ever doubt yourself. When you struggle, don’t quit. Just learn to keep going and understand some things take longer to grasp. #6 – Respond to any negativity with kindness. Rise up and don’t try to make people see your point of view if they are determined to misunderstand you. It’s not worth the time and emotional energy. #7 – Keep smiling. Your sweet spirit is infectious and is a gift from your father. #8 – Stay on top of your work. This is the year it all gets a little harder at your school and being prepared will help you navigate the additional workload. #9 – Be a kid. I realize your siblings are all older now, but it’s okay for you to be a silly kid still. You have many years to be a grown up so don’t take these moments for granted. #10 – Your father (both heavenly and earthly) and I love you dearly. You are the sweetest boy, and we are all so proud of who you are. Keep being you, you are special, unique, and amazing just as you are. You’ve got this and I’ve always got you.